Pajama Program promotes a caring and supportive bedtime by giving at-risk children the magical gifts of warm, new pajamas and an enchanting storybook, letting them fall asleep with hope in their hearts for tomorrow. For children who do not have a safe, loving home environment, and who often arrive at shelters with nothing of their own, these gifts are often the only new things they receive. Each Reading Party begins with circle time introductions and ends with our pajama presentation where each child receives a new pair of pajamas. Volunteer to fold pajamas that will be gifted to a Pajama Program child. Mayor’s Office of Resilience works to make Atlanta better prepared to physical, social, and economic challenges that are a growing part of the 21st century. Join Five Points Garden for their monthly volunteer day on the 1st Saturday of every month! Help get dirt off the ground and plots setup before Earth Day! There is work being done with raised beds and prepping them for Spring. Community Connections of Atlanta's mission is to bring hope and help to low income families, individuals and the homeless in our community. One of the ways this is done is by providing the blessing of fresh produce, meats, food staples, warm meals and clothing opportunities weekly to hundreds of local residents from all walks of life. We have an extensive network of Volunteers and Community Partners providing resources and expertise to aid in meeting our clients’ basic needs, in order to help achieve stability and realize their potential while restoring hope for their future. Community Connections of Atlanta (CCATL) is offering a group meeting and orientation for those interested in the Guest Assistant volunteer role. Community Connections of Atlanta are in need of energetic volunteers to carry our disabled and elderly Community Member’s blessing boxes through our food distribution line and to their car. Meeting/Orientation is required before volunteer can join our team. HOPE Family Ministries aka Center for HOPE mission is train and equip individuals and families to respond to life challenges; through mentoring, skill building and social supports. Center for HOPE is hosting their first annual Blacksville Project cleanup day and making preparations for the Little Free Library & Community Garden. 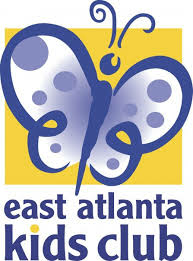 East Atlanta Kids Club (EAKC) is a non-profit neighborhood-based after school program working to build a promising future for the youth of southeast Atlanta. East Atlanta Kids Club would love to have you at this year's Easter Egg Hunt and Festival held at the Brownwood Park Recreation Center. Hundreds of plastic eggs will be hiding in Brownwood Park waiting for neighborhood children to come and find them! The annual Easter Egg Hunt happens at 11am, and will be followed by real egg decorating, a spoon race and other activities in and outside of the rec center. Volunteers will be needed to hide several hundred plastic eggs and lead fun activities.